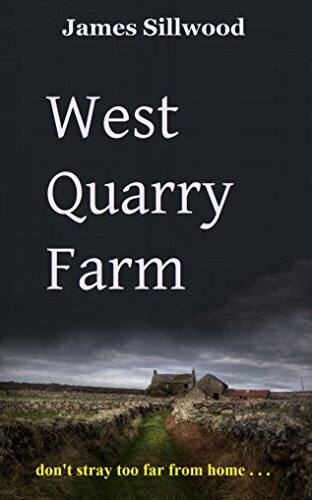 The opening chapter of West Quarry Farm was eerie and captivating, a perfect launchpad for what would prove to be an interesting tale. At its heart, it’s a story about two women: one seeking escape from her boring housewife life, and the other seeking justice against the man who assaulted her daughter. Between these two women is a killer, a chameleon who manages to beguile all those around him. I liked the intersecting story lines, seeing things from inside all three character’s heads. And it was a tight plot without too many extraneous story points. That said, I could’ve used just a little more explanation on a few items: What, precisely, did our villain do to Mel’s daughter and how did she escape his murderous clutches? Who is the assistant who so willingly (almost cheerfully) performs cleanup and body disposal in the first chapter? How did he become our villain’s right-hand man and what does he get out of the arrangement? Even without knowing these, the story holds your attention. In the scheme of things, they don’t really matter, but if you like things extra tidy then these omissions might stick in your craw. I’m settling on a solid 4 stars. It’s an entertaining read with a believable, despicable bad guy. Suspense and thriller fans should enjoy it, no doubt!